Non BT Sport customers can breathe a sigh of relief after it was revealed ITV4 will be showing a highlights package following each race on Monday evenings at 8pm. The 60 minute show will be aired following every race this season and presenters are lined up as James Haydon and Toby Moody who also presents the channel’s BSB coverage. MotoGP organisers Dorna were worried UK viewing figures would see a huge slump following the loss of the regular one million plus numbers who routinely tuned in for free on the BBC. 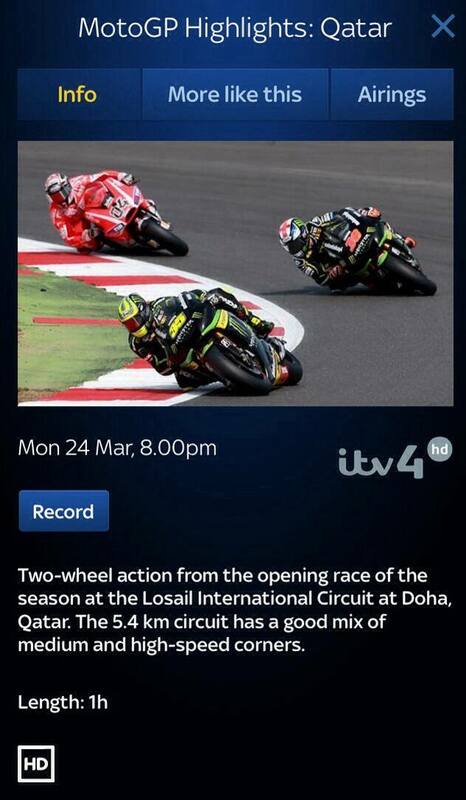 Dorna are hoping the ITV highlights package will keep UK viewers interested in the sport. The first ITV showing will be on Monday evening at 8pm on the 24th of March.